For such a little figure this particular figure brought me so much joy when I was a child. He is one of my two all-time favorite M.U.S.C.L.E. figures. 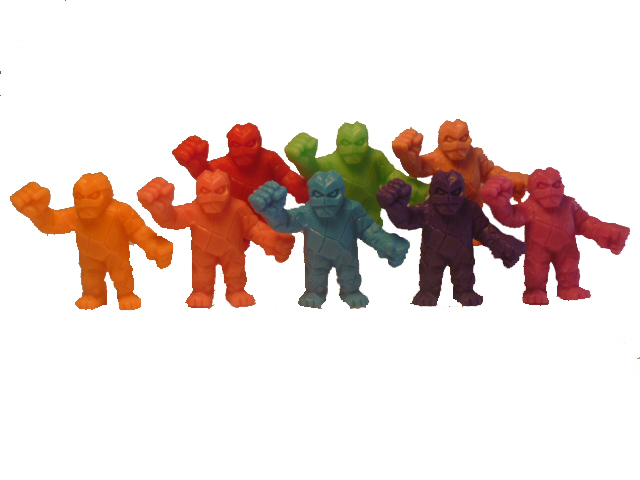 I had an orange one and he was one of the first M.U.S.C.L.E. figures I came across. He fit in my shirt pocket on my school shirt or shorts and went everywhere with me. It was right around the time Rocky 4 was a big hit in Australian cinemas and I had my own little Rocky Balboa-like figure! 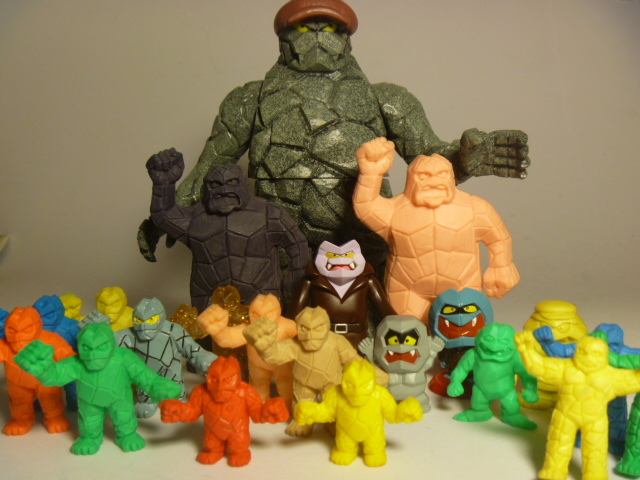 Fast forward to my adult obsession with M.U.S.C.L.E. figures. Getting this little guy in all of the manufactured colors was goal number one. 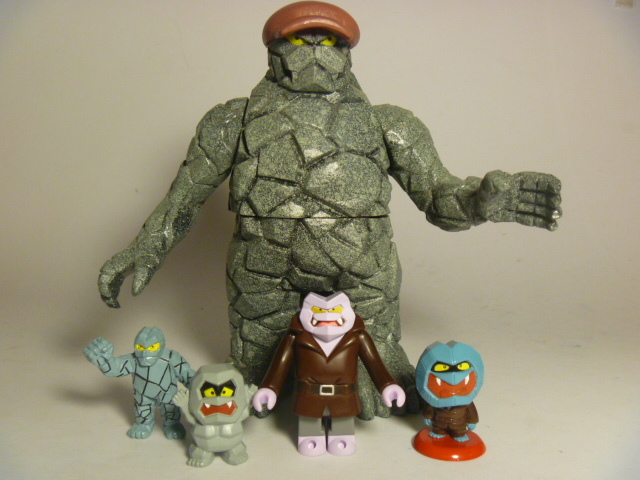 Finding out he had a Class A version was a letdown, but also increased my desire to own all of them. Imagine my surprise and joy when I found him in a Canadian lot, with approximately 20 other Class A figures, on eBay with a Buy-It-Now of $180. This auction was listed at 6:30 AM my time and I hit the BIN button quicker than the center snaps a football in the NFL. Having #23 in all of his M.U.S.C.L.E. colors I turned my attention to the Kinkeshi versions. I found a great Glitter Kinkeshi as well as a few other new colors. I then found Iwao in Romando, Deka Kinkeshi, and Banpresto. I even added a One Shot Toys custom Deka. All was right in the world – I had a great collection. Then my love of pinball machines entered into the fray. I had been desperately seeking a Creature From The Black Lagoon pinball machine to round out my collection and needed some cash to get it done. 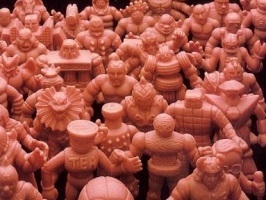 A collector wanted 42 of my Class A M.U.S.C.L.E. figures – which gave me the funds I needed for my pinball. The catch was I had to include my light blue #23. After a bit of thinking I pulled the trigger on the deal. I love the pinball machine, I really do. 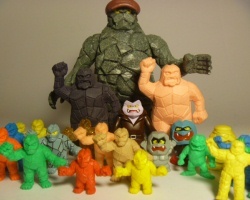 But I miss my little mate – my collection of Iwao figures just isn’t the same without the Light Blue #23 M.U.S.C.L.E. figure. This entry was posted on Monday, March 3rd, 2014 and is filed under UofM News. You can follow any responses to this entry through RSS 2.0. You can skip to the end and leave a response. Pinging is currently not allowed. I hope you still have the orange Iwao from your childhood in your collection; you can always get another light blue. 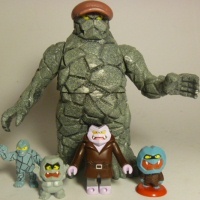 I can’t put into words how desperately I wish I could recover my childhood figs.